Everyday We Help Patients Connect with Dentists Who Use Nitrous Gas. 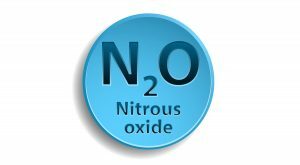 How is Nitrous Oxide Used for Dental Care? Is Nitrous Oxide for You? Not all of us can keep our cool in the dentist’s chair when undertaking dental treatment. All too often, dental patients will dread their appointment and will experience intense fear and anxiety once they walk through the doors to receive their surgery or operation. After all, not everyone is comfortable with shiny metallic devices being crammed into their mouths for minutes or hours at a time. Luckily, nitrous oxide is a common sedative used to reduce patient’s apprehension before and during dental treatment or an operation. For years, nitrous oxide has helped countless patients relax and keep cool during their dentist appointment. Oral sedation dentistry, as the practice is commonly called, is a procedure that is used to help patients receive dental care treatments for anything—from a toothache to pulpectomies. Are you interested in receiving sedation dentistry or, more specifically, dentists who use nitrous oxide near you? If so, we can help you locate a clinic near you that offers the services you need. 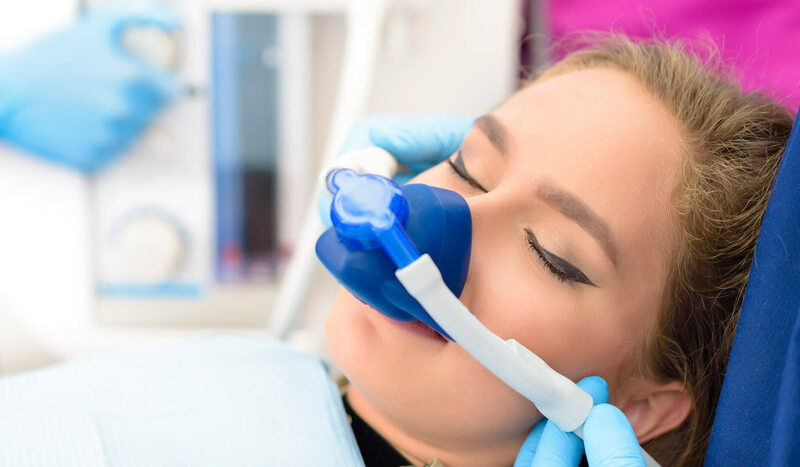 In this article, we will cover everything you need to know about nitrous oxide and where you can find a clinic that offers it. Nitrous Oxide: What Is It? Have you ever heard of a drug called “laughing gas”? That’s nitrous oxide or “nitrous” for short. It is a natural chemical compound that, at room temperature, is a colorless and non-flammable gas. Nitrous oxide, in gaseous form, has a mildly metallic taste and scent. For decades, nitrous oxide has been used in medical contexts. In fact, it was first synthesized by an English chemist by the name of Joseph Priestley in 1772. By the end of the century, Priestley’s “laughing gas” discovery was already being used by surgeons and engineers. Physicians quickly took note of its ability to be used as a pain-killing analgesic. In recent years, the World Health Organization (WHO) has designated nitrous oxide as being one of the world’s essential medicines thanks to its effective and safe use as an anesthetic. A testament to its safety is the fact that it has been used in millions of surgeries worldwide. In British high society, laughing gas became commonly used in a recreational capacity. By the 19th century, many English aristocrats held parties where laughing gas was ingested in order to experience dreamy, euphoric effects. Since then, nitrous oxide has gained popularity and infamy as a recreational drug and dissociative. The legality of nitrous oxide for recreational use varies by country and jurisdiction. However, in most of the Western world, including the United States, nitrous oxide is a prohibited drug that cannot be legally used or possessed without a medical license or prescription. Although non-toxic, there are serious safety hazards inherent to using nitrous oxide recreationally. As one of the WHO’s essential medicines, nitrous oxide has a worldwide reputation for its safety and efficacy. Nitrous oxide is non-toxic in conventional and medical doses, making it extremely difficult, if not impossible, to lethally overdose on the substance. Although toxicity is not a concern, there are still safety considerations that need to be kept in mind. For instance, nitrous oxide can cause asphyxiation if inhaled as a compressed gas. Without a sufficient supply of oxygen, users can faint and fail to take in oxygen if they are wearing a gas mask. This sometimes occurs in cases where it is used recreationally. For the most part, nitrous oxide only poses a serious risk to the doctors, dentists, nurses, and dental assistants present in the operating room during procedures. This is because nitrous oxide is not metabolized in the body, which means it remains physically active in the air when exhaled. Unless the room is well-ventilated, medical professionals can be affected by it. Despite its relative safety, nitrous oxide is not without its side effects. The following side effects have been noted by medical professionals who use nitrous oxide. In most cases, a dentist won’t have to use nitrous oxide on their patient. However, in cases of serious surgery or with especially nervous patients, nitrous oxide may be necessary to calm the patient’s nerves or to induce sedation. Typically, dentists use nitrous oxide to induce minimal sedation. This is important to note because dentists often administer sedatives in varying degrees. In the United States, dentists induce four kinds of sedation: minimal sedation, moderate sedation (conscious), deep sedation (semi-conscious), and general anesthesia (completely unconscious). Dentists and doctors alike administer nitrous oxide through inhalation. In other words, patients’ breathe in compressed nitrous oxide combined with oxygen through a gas mask placed over their nose. The gas helps patients settle down and the effects wear off quickly after the procedure is over. Across the United States, and the world at large, dental clinics use nitrous oxide to sedate their patients. In fact, you would be hard-pressed to find a dental clinic that abstains from using nitrous oxide. However, on occasion, you may find other substances such as Halcion used as an alternative oral-based sedative. If you need to find a dental clinic near you that offers nitrous oxide, we recommend checking out the Emergency Dentists database. There you can find a long list of dental offices in the United States that offer a variety of sedatives and anesthetics to help patients get through their procedures, including nitrous oxide. The Emergency Dentists database is especially useful if you need urgent care. If you are in immediate need of a dentist, you can visit their website or call their toll-free number at 1 (888) 420-6826 to reach a representative. Their offices are staffed 24 hours a day to serve you whenever you need. There are hundreds of dental clinics across the United States, from California and Texas to New York and Ohio. If you need access to a dental clinic that specifically uses nitrous oxide, reach out to any of the clinics listed in the Emergency Dentists database. Make sure you ask about their use of nitrous oxide sedation during your initial inquiry.